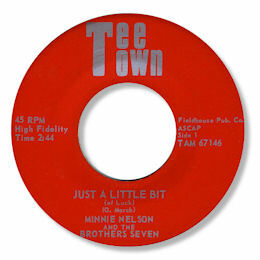 This one-off from the obscure Minnie Nelson is another of those great deep ballads that have disappeared off the radar. Check out her confident full throttle vocals as she brings great presence to this well structured song. All the classic trimmings - guitar fills, horns and a couple of backing singers - are here too. Lovely.